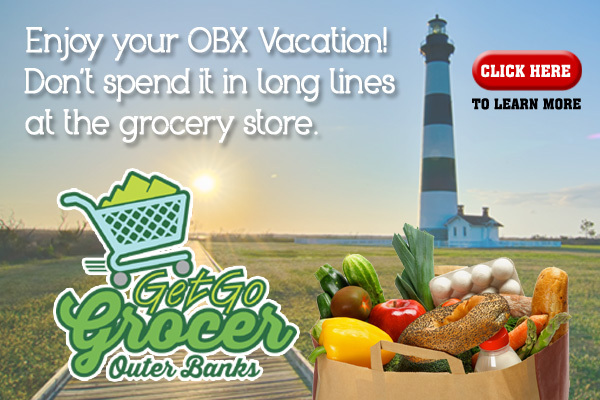 Outer Banks Clam Bakes Vacation Family Cooking Service - We bring the Restaurant to you! We have Dinner Entrees for your selection with Outer Banks Clam Bakes . We cook for groups from 6 to 600 people, children and adults. We supply you with USDA choice meats, that have been carefully selected especially for you. Our seafood is fresh and all locally caught. Beef, Pork and Chicken are USDA inspected. We set all meals up buffet style and you serve your own drinks. If you help with the clean up it will reduce the price. Prices vary with the amount of people and the location. We specialize in traditional Outer Banks meals. look at the site and register to quote a price or you can also call us at 1-252-455-8737 anytime or e-mail us at info@outerbankscooking.com. This is a great service to add to your vacation on the Outer Banks of North Carolina. We service the following areas Corolla, Corova, Sanderling, Duck, Southern Shores, Kitty Hawk, Kill Devil Hills, Nags Head, Hatteras Island, Buxton, Frisco, Avon, Waves, Rodanthe, Salvo.